The Bible: Why Study the Bible? Early in the first century a man from Galilee appeared with a message about the need for a dramatic change in the established order. He gathered a number of followers around him and began to advocate a return to some of the laws and commandments of God. Before long, however, he was handed over to the Roman occupation forces and executed. The man’s name was Judas of Galilee. The world, as a whole, has largely forgotten him (Acts 5:37). His name was Jesus of Nazareth, and the world has never forgotten him. Of him it has been well said that “the names of the past proud statesmen of Greece and Rome have come and gone. The names of the past scientists, philosophers, and theologians have come and gone; but the name of this Man abounds more and more…Herod could not destroy Him, and the grave could not hold Him” (quoted in Josh McDowell, Evidence That Demands a Verdict, p. 135). There is an excellent reason the world remembers Jesus of Nazareth. The reason is his resurrection, his dramatic return from a publicly witnessed and certified death (Matthew 27:65-66). In Acts 1:3 we are told that Jesus showed himself alive after his resurrection by “many convincing proofs.” Not the least of these proofs was the fact that the men and women closest to Jesus were willing to die for their belief that he had conquered death (1 Corinthians 15:29-32). The Gospel writer John compresses many important truths into these two verses. For one thing, he tells us that the Bible is a highly selective document. God did not tell us everything we would want to know. But he did tell us those things that were vital for us to know if we are to enjoy eternal life. Eternal life in and through Jesus Christ is the clear thrust of the Bible and of the message of its central figure, Jesus of Nazareth. Jesus himself emphasized this while discussing the intimate and life-preserving relationship that exists between shepherds and their sheep. In a few short words Jesus brilliantly condensed God’s will towards his creatures, an intention that existed in the mind of God before there was ever a heaven and earth. “I have come,” said Jesus Christ, “that they may have life, and have it to the full” (John 10:10). Life is one of John’s characteristic concepts. He uses the term 36 times, whereas no other New Testament writing has it more than 17 times. Thus, in this one writing there occur more than a quarter of all the New Testament references to life. “Life” in John characteristically refers to eternal life, the gift of God through His Son.… It is only because there is life in the Logos (see John 1:1-18) that there is life in anything on earth at all. This wholesome and joyous declaration, the good news that God intends human beings to have life in a richness and fullness that is ultimately beyond all human understanding, this is the fulcrum of scripture. This glorious announcement is the fulfillment of the message brought by the Old Testament prophets (Acts 3:18, 21). It is the completion of the intention hinted at when God made everything “very good,” when he created a physical realm to serve as the staging ground for the great drama of redemption that begins and ends with Jesus Christ (Genesis 1:31; Colossians 1:15-16). In the last book of the Bible the seer on the island of Patmos describes the glorified Jesus Christ this way: “I am the Alpha and the Omega, says the Lord God, who is, and who was, and who is to come, the Almighty” (Revelation 1:8). The First Letter of John also emphasizes Jesus Christ’s role in salvation: “If anyone acknowledges that Jesus is the Son of God, God lives in him and he in him.… And this is the testimony: God has given us eternal life, and this life is in his Son. He who has the Son has life; he who does not have the Son of God does not have life” (1 John 4:15; 5:11-12). God inspired the 66 books of the volume we call the Holy Bible as part of a double witness of his beneficent intention toward the men and women he created. The first was the God-man Jesus Christ, the living Word of God who “became flesh and made his dwelling among us” (John 1:14). God also fashioned “living words” in the form of the Old and New Testament (Acts 7:38). These inspired words are God’s will in writing. The Scriptures make God and his intentions more understandable and accessible. “The words I have spoken to you,” Jesus said on one occasion, words his disciples carefully passed on, “are spirit and they are life” (John 6:63). In writing of great beauty and power, the Bible authors set out to reveal the will and the intention of the resplendently glorious God, a God who is Spirit (John 4:24) and thus ultimately unfathomable to the human mind — and yet a God who delights in communing with his creatures (Proverbs 15:8). The Bible is the supreme revelation in print of God’s will towards us. It is direly needed. As many wise men, philosophers and scientists have concluded, this universe cannot explain itself, and humanity has not been able to explain itself beyond all dispute or doubt. This is why we should study the Bible. The Bible, when properly understood, sheds light on the “secret wisdom, a wisdom that has been hidden and that God destined for our glory before time began” (1 Corinthians 2:7). Spiritual truths — “the thoughts of God” — are not easy for the human mind to comprehend. The nature of God, the realm of spirit, the ultimate purpose of human life — there are no more important questions than these. And yet, as anyone soon discovers who sets out to read it, the Bible is not always an easy book to understand. God, we quickly find out, did not inspire his revelation to us in a series of simple theological statements listed in precise, neat “A,B,C” fashion. 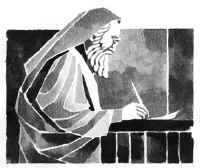 The Bible is the starting place for all right doctrine, and yet God gave us his written revelation in the form of stories, poems, hymns, battle scenes, scandalous exposes, a voice from a burning bush, brief flashes of insight called “proverbs” and seemingly irrelevant census rolls and genealogies. Furthermore, we soon realize that the Bible’s stories take precedence over everything else. Professional scholars prefer to speak of the Bible’s stories as “narrative,” since the word “story” can convey something that is not true, as in a fairy tale or a myth, and the Bible is certainly not that. So here is another reason we need to systematically approach the study of the Bible. The book itself admits that it contains “some things that are hard to understand” (2 Peter 3:16). Proverbs 25:2 states: “It is the glory of God to conceal a matter, to search out a matter is the glory of kings.” The four Gospels have been similarly described as a life-giving stream which, while deep enough for elephant to drown in, is also shallow enough for a gnat to swim across. This simply means, in studying the Bible the question really is: how deep do we want to go? And yet the Bible encourages us to seek out “the breadth, and length, and depth, and height” (Ephesians 3:18). 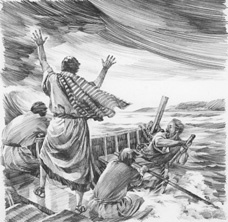 Yet, the very fact that the narrative flow that takes precedence in scripture is interrupted by so many other forms of literature — the “confessions” of Jeremiah (Jeremiah 17:14-18) or the meditations of the Teacher (Ecclesiastes 1:1), for example — these realities make it urgent to keep in mind the Bible’s clear, overarching mandate: to show us the way to life. As we have seen, this message of the eternal life that is available in and through Jesus Christ is the spiritual heart and core of the biblical documents. Even the wide-ranging literary structures of the Bible themselves point back to that central, core communication and account for the book’s remarkable unity amidst so much diversity. 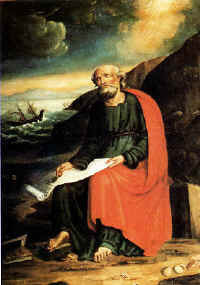 The canonical scriptures are a veritable book of life, showing us God in relation to the most dramatic human crises (births, sicknesses, deaths, loves, losses, wars, falls, risks, disasters, failures, victories), the most elemental human emotions (joy, grief, love, hate, hope, fear, pain, anger, shame, awe) and the most basic human relationships (to parents, spouses, children, friends, neighbors, civil authorities, enemies, fellow-believers).… Scripture is superb” (Packer, p. 13). “The Bible is no mere book,” Napoleon Bonaparte is reported to have said, “but a Living Creature with a power that conquers all that oppose it.” He spoke more than he knew. The word “eternal” in John 3:16 is placed there to point human beings to the hope of an eventual eternal communion with God to be enjoyed by his creatures in the new life made possible through Jesus Christ (The New International Commentary, John, p. 227). This communion of humanity and its Maker, shattered by human sin (as described in Genesis 3) is being restored in all its fullness through the atoning and reconciling work of Jesus Christ. Thus the Bible, though separated by the 1500 years of composition between Moses in Sinai and John on Patmos, is — incredibly — all one Story. The last part of the last book reads like the close of the story begun in the first part of the first book. Thus, the first words in Genesis, “In the beginning God created the heavens and the earth” are mirrored by almost the last words in Revelation: “Then I saw a new heaven and earth, for the first heaven and the first earth had passed away” (Revelation 21:1). To be a follower of Jesus, to know who he is and what he means, is to have a superabundance of life.… When we walk with Jesus, there comes a new vitality, a superabundance of life. It is only when we live with Christ that life becomes really worth living and we begin to live in the real sense of the word. (Daily Study Bible: John, vol. 2, p. 60). Jesus once replied to his hostile critics: “You diligently study the Scriptures because you think that by them you possess eternal life. These are the Scriptures that testify about me, yet you refuse to come to me to have life” (John 5:39). The Expositor’s Bible Commentary expounded on the value and virtue in getting to know the living Word of God: “Jesus’ main purpose was the salvation (health) of the sheep, which he defined as free access to pasture and fullness of life. Under his protection and by his gift they can experience the best life can offer” (vol. 9, p. 109). Statistically speaking, the Gospels are the greatest literature ever written. They are read by more people, quoted by more authors, translated into more tongues, represented in more art, set to more music, than any other book or books written by any man in any century in any land.… They are read more, quoted more, loved more, believed more, and translated more because they are the greatest words ever spoken. Yet, as Ramm goes on to maintain, the greatness of the four Gospels and by extension the whole of Scripture is not limited to sheer statistical terms. These internal and external testimonies lead us to conclude that the Bible is much more than simply a collection of 66 books of widely varying literary style from the Ancient Near East, though it is that as well. When we understand that the Bible answers the biggest questions of life although structured through the pens of over 40 authors from every walk of life, men and women who lived on three different continents and who wrote in three different languages — Hebrew, Aramaic and Greek — we can only conclude: This is the hand of God. This is why the writers of the Bible referred to the document astheopneustos — “God-breathed” (2 Timothy 3:16). Yet the basic plot of the Bible is simple: it is the theme of redemption available to humanity through Jesus Christ. The written Word of God points us back to the Living Word of God, the Logos, Jesus Christ. As Jesus himself said centuries ago: “I am the gate; whoever enters through me will be saved. He will come in and go out, and find pasture” (John 10:9). The Bible is that pasture, a divinely prepared source of eternal life for those who want it. Let’s enjoy it to the full.